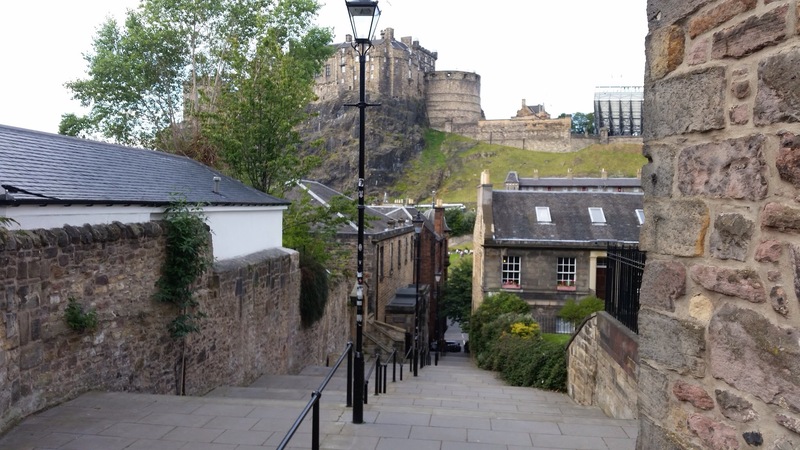 You can reach Tang’s Japanese Restaurant in the old town of Edinburgh by walking up or down this little street, Granny’s Green Steps, that has a view of the Edinburgh Castle. I skipped and hopped down the steps after visiting Tang’s. Interestingly Tang is a Chinese surname – so a Chinese person must have opened a Japanese restaurant. The staff was multi-cultural with new Japanese immigrants and natives. It was a chilly August day (in the mid 50s) and I went in for some hot noodles to keep warm. The steps. Isn’t this beautiful? The scenery made me feel alive and happy. The sun was shining and my heart was singing. The wonders of traveling to a distance land. 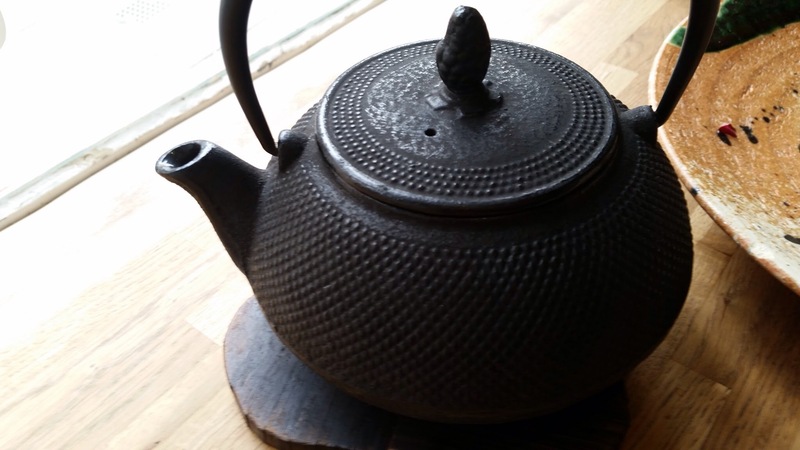 A pot of delicious and hot Hoji tea. Mmm. Mmm. Aaaaah. 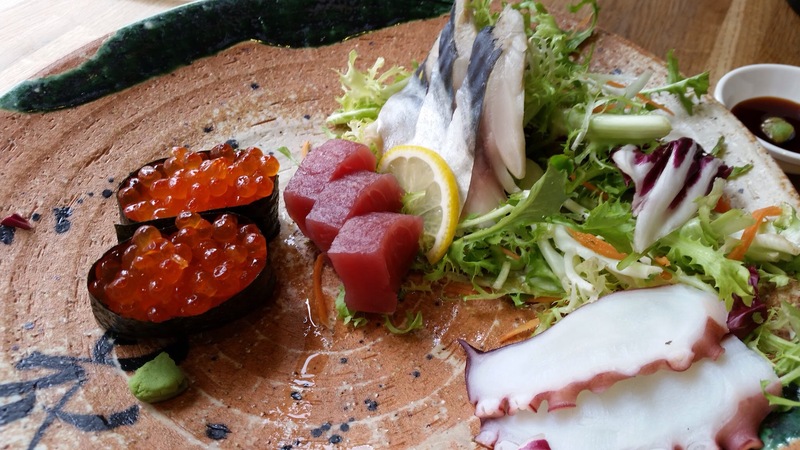 Salmon roe, tuna, mackerel, and octopus. Can’t beat this other than adding more wasabi to the plate. 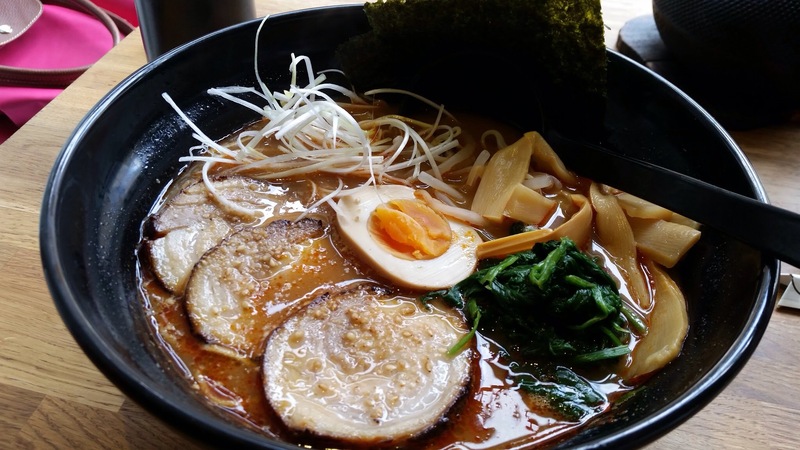 Hell Ramen: Very spicy and rich, soy sauce-based pork stock and noodles topped with 2 slices of melt-in-the-mouth pork belly, spinach, nori seaweed, bean sprouts and spring onions. I was in Edinburgh, Scotland and didn’t expect to be eating Japanese food. It was the best thing that I did for myself. There was something about eating spicy ramen on a cold day, looking out the window watching the tourists passing by, and listening to an incredible story of eating freshly-caught mackerel from Ireland. There was something about walking under the sun in a summer dress, feeling the warmth of the sun hitting my face and feeling the world is all mine.